In response newspaper The Island‘s report of my recent Colombo book launch event, earlier this week I sent in this critical letter of response to the editor. Today it ends up being published in the paper – as a front page feature, no less! 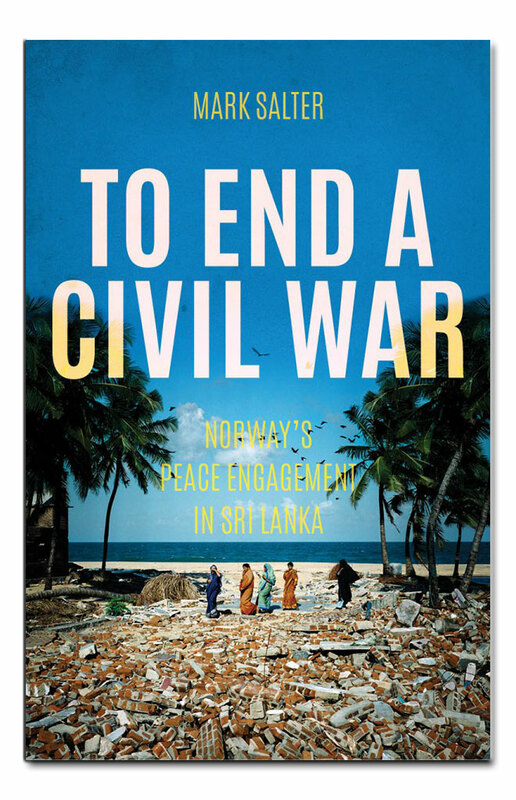 My new book To End A Civil War: Norway’s Peace Engagement in Sri Lanka, was published by Hurst in late October 2015. I write in response to Shamindra Ferdinando’s 9 March column for The Island – ‘Failed Norwegian peace bid in SL: Different perspectives, glaring omissions’. I welcome the coverage the column gives to the recent (3 March) Colombo launch of my new book ‘To End A Civil War: Norway’s Peace Engagement in Sri Lanka‘ at an event held at the International Centre for Ethnic Studies (ICES) that Ferdinando himself attended. At the same time, the column significantly misrepresents both some of my comments at the launch, as well as, important aspects of the book itself. At the book launch event, for example, I emphatically did not describe the April 2003 Washington Sri Lanka donor’s conference as the ‘primary reason for the failure of the [peace] process’, as Ferdinando suggests. Rather, I characterised the decision to hold the conference in Washington – thereby effectively excluding the LTTE, as an organization proscribed as ‘terrorist’ in the USA, from participating in it – as one among a number of critical milestones in the peace process’ break down, since it was the event that led to the LTTE officially suspending its participation in peace talks. In saying this, moreover, I am primarily reflecting the view of the Norwegian facilitators – who did not attend the Washington conference – that the failure to consult the LTTE over the conference’s location, and the lack of consideration this in turn suggested for the Tiger’s wish to be treated with equal consideration with respect to the negotiation process, was a critical mistake. Other critical milestones in the peace process’ breakdown highlighted both in the book and my comments at the Colombo launch – which Ferdinando mentions in his column – include the fallout from the LTTE’s Interim Self-Governing Authority (ISGA) proposal tabled in late 2003, and the ultimate failure of the P-TOMS mechanism, unrolled in the aftermath of the December 2004 tsunami. To characterize any or all of these events as milestones is not, however, to suggest that any one of them is either singularly or principally responsible for the peace process’ ultimate failure. Similarly, I do not consider it remotely ”obvious’, as Ferdinando claims, that I apparently do not find ‘fault with the LTTE for the collapse of the Norwegian effort’. The insinuation of bias or implied by the word ‘obviously’ apart, this claim also happens to be manifestly untrue. Any impartial reading of the book would clearly reveal: first, that in overall terms I am not in the business of ‘favouring’ one side or the other in my analysis – the book, to repeat, is focused on the Norwegian peace facilitation role in the Sri Lankan conflict; second, that when it comes to finding fault for the peace process’ ultimate failure, it assigns at least as much: and on critical occasions, such as the assassination of Foreign Minister Lakshman Kadirgamar in autumn 2005, considerably more blame to the LTTE than the Sri Lankan government. Finally with respect to Dayan Jayatilleke’s remarks at the launch event it would have been helpful – and certainly more balanced – if Ferdinando had leavened his somewhat uncritical account of Jayatilleke’s analysis with a more substantial presentation of the counter-arguments offered in response. First, throughout the peace process (and indeed before it) the Norwegians did consult with India closely and – contra Jayatilleke’s assertions – emphatically did take on board the lessons of the traumatic IPKF (mis)adventure in Sri Lanka. As outlined clearly throughout the book, consultation with Delhi was an absolute bedrock of the Norwegian approach to Sri Lanka: any visit to Colombo by Erik Solheim and others from Oslo was always immediately followed – and sometimes preceded – by consultations in New Delhi. Second, Ferdinando’s claim that the book ‘conveniently ignores’ what he describes as ‘India¹s despicable role in sponsoring terrorism’ in Sri Lanka, is simply untrue. While the early stages of the conflict are described briefly – this is, after all, mainly a book about its later stages, when Norway became directly involved – there are clear references (e.g. p. 14) to India’s role in funding the LTTE and other Tamil militant groups during the 1980s. Third, Ferdinando calls my ‘failure’ to interview TNA leaders in connection with the Rajapaksa-LTTE financial deal that allegedly preceded the 2005 presidential election boycott by Tamils in the North East ‘astonishing’. More astonishing, perhaps, was Ferdinando’s seemingly total ignorance of this story until I agreed to provide him with the relevant section of my book. That aside, I didn’t interview TNA leaders on the subject for the same reason that I was ultimately unable to talk to a number of key figures in the Rakjapaksa-era administration. At the time I was chiefly working on the book – 2012-2014 – securing access to the country as a whole, not to mention government ministers, was extremely difficult for outsiders like myself; and not least when the subject was the peace process and conflict as a whole. So by and large, if I didn’t talk to someone important it was because I was simply unable to. Thankfully, however, with the advent of the Sirisena-Wickremesinghe administration, all that has significantly changed. In conclusion, I believe that the tired old zero-sum habit of point scoring when it comes to the Sri Lanka conflict is now well and truly past its sell-by date. Time, surely, to move beyond that and into the critical business of achieving a lasting political solution to the roots of the conflict.